Johanna Spyri, author of Heidi, wrote many wonderful books that have gone out of print. We are proud to be bringing two of them back into print with this "two-books-in-one" compilation. 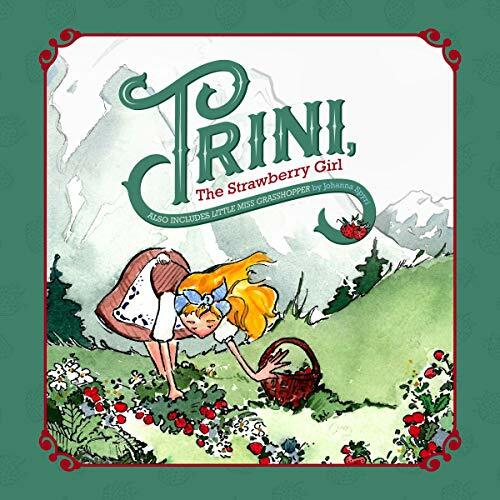 Every year, an abundance of the finest, juiciest strawberries grow on the hills above the little Swiss village where Trini and her grandmother live. When harvest time arrives, Trini is determined to pick more than anyone else, so she can sell them and help her aged grandmother with whom she lives. In her ambition, Trini learns some important lessons. She also learns that her strawberry-picking is not enough to support her and her grandmother. Will Trini need to go away to find work? Travel with the Feland family on a holiday to a quaint cottage in Switzerland. New friends are made, and everything is beautiful and peaceful until Rita (also known as Little Grasshopper because of her bouncy, sunny personality) goes missing. What miracle can help the little girl be found?